Lime mystery solved! It’s a Pomelo! My husband was able to get in touch with the people who live in the house where he stole the fruit from. It’s not a lime! It’s a Pomelo! 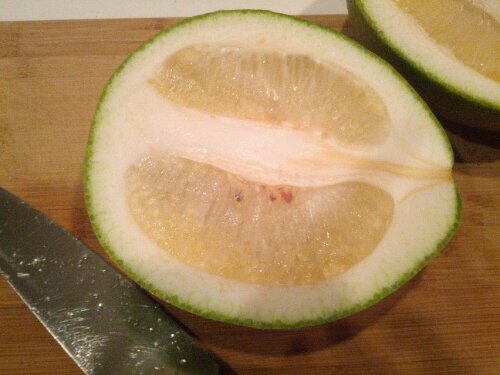 Read about the Pomelo! Apparently it’s believed to be kin of the grapefruit – but sweeter and less acidic. And definitely edible!